In nature, every creature has its place and its uses. Sometimes that’s easy to see. Bees are great when it comes to pollination and making honey. Spiders are ruthlessly efficient predators and excel at taking out other members of the insect kingdom. But what about one of the least-loved creatures in the animal kingdom, the cockroach? Roaches are very much a good news/bad news scenario. The bad news? First of all, cockroaches are very good at breeding, and they do it fast and aggressively. They dislike light, and if you happen to see one skittering across the kitchen floor, it could mean that their colony has become overcrowded. 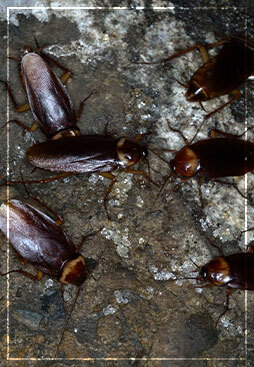 Roaches also carry diseases, and we can all agree that they are profoundly disgusting. The good news about roaches? They are natural recyclers, eating essentially everything from dead plants to animal waste. Cockroaches have their place in the world, and that place is outside and away from your home. Getting rid of them can be tough, and the smart move is to partner with the professionals at Patriot Pest Management. With more that 30 years of experience, we have the know-how and technology to make your home or place of business roach free. For more information or to schedule an appointment, contact us online or by phone today.